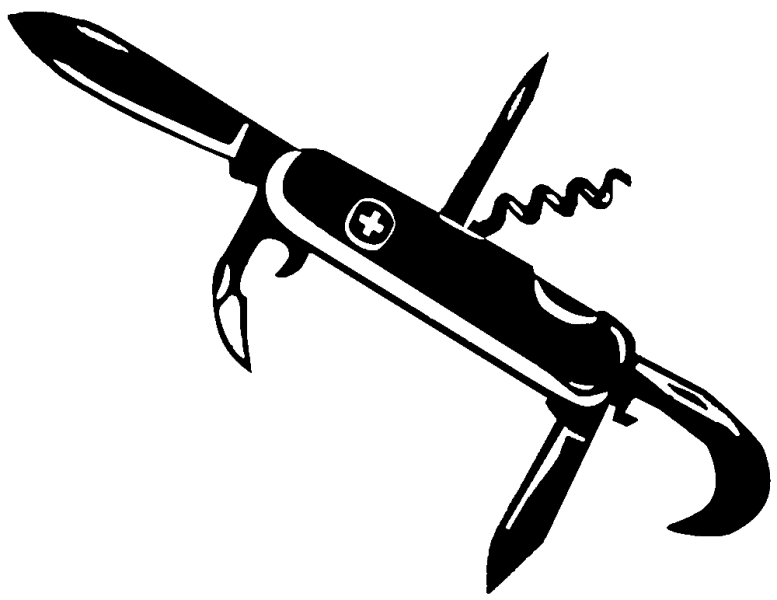 Long before all the trick, techy survivalist tools came out there was the camper’s standard: the Swiss Army knife. There were several models which offered a variety of features: a scissors, a tiny sawblade, tweezers… Depending on your drinking proclivities, the corkscrew might be mandatory. Bottle opener also included.